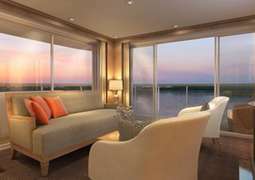 The Viking Alruna is a very special ship with an intimate feel on board. Alongside the amazing atmosphere comes modern cabins and other fantastic facilities. 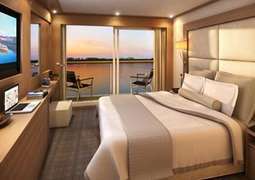 Cabins on board are spectacularly designed and have all the modern appliances and technology to make sure your cruise is as enjoyable as possible. With 'Explorer' suites, 'Veranda' staterooms, 'French Balcony' staterooms and 25 standard staterooms you are sure to find the perfect accommodation. Dining options on board are exciting and unique, carefully prepared by the professional chef and the hospitality staff. Fantastic shore excursions are available, in addition to this on board entertainment and activities include dance classes and live performances.